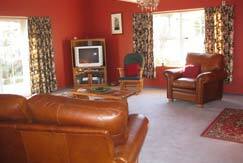 Welcome to our home which is situated within walking distance to most of Cromwell’s amenities and Bus stops. We are semi-retired Southland Farmers who have been home hosting for many years. Now we are enjoying living in the stone fruit (Apricot peaches, cherries etc) and wine region of Central Otago where we have many cafes and wine tasting rooms (we can arrange drivers to these areas). Cromwell is a quiet and relaxed town which is known for historic gold diggings, vineyards, orchards, trout fishing both lake and river boating walks and bike tracks both mountain and road. and close to ski fields. We are only 45 minutes away from both Queenstown and Wanaka so day trips to these are easy to do from here. You are most welcome to join us on our sunny veranda or in our large lounge where you can watch TV or join us for Tea and coffee which is available at all times, with home made cookies. You can also share dinner with us... 24 hours notice please or just bed and breakfast, continental or cooked. We enjoy sharing our home and garden with visitors, we grow most of our vegetables and have raspberries and strawberries in season and have a flower garden with lots of flowering plants. We can help you plan things to do in the area and have a very good information centre in the mall. 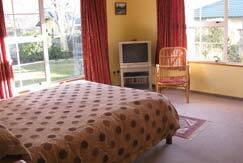 So we would love you to come and stay with us, a friendly stay is assured. Bookings cancelled prior to 72 hours will incur a 25% cancellation fee. Cancellations within 72 hours will incur a 50% cancellation fee. However, should we be able to re-book your accommodation any pre-payment will be refunded, less 10% administration costs (for online bookings only).